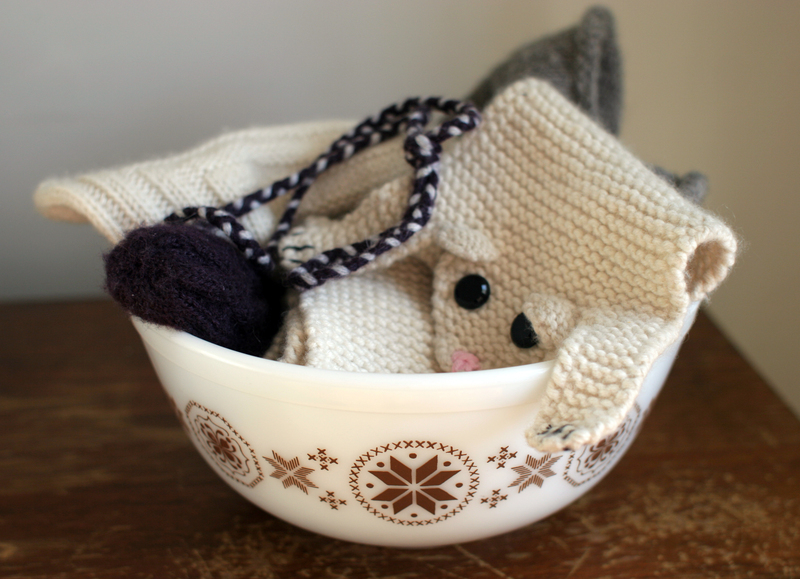 A bowl near the front door helps keep mittens, hats and scarves organized. 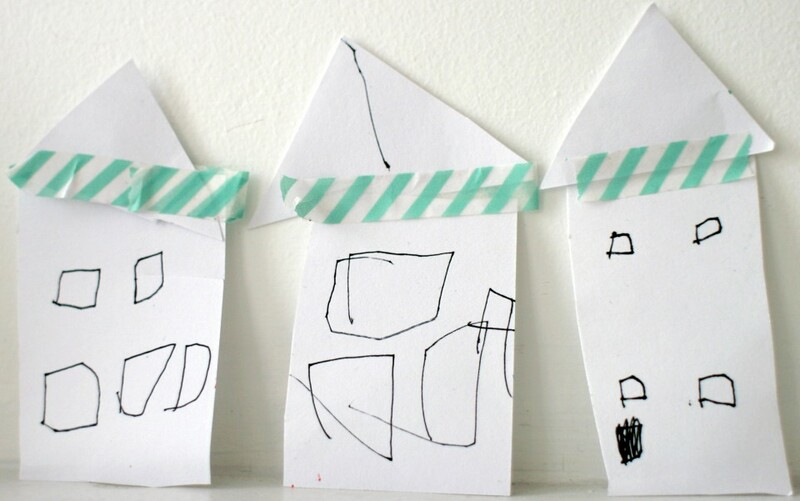 The kids can help take care of their own things when they come in from outside, and you will always know where mittens are on your rush out the door. We found this vintage Pyrex bowl at a stoop sale, but they abound on Ebay. The scarf pattern is adapted from one by Pat Feeley for High Country Knit Wear. You can also find super cute animal scarves at Acorn Toys in Brooklyn if you are more of a shopper than a DIYer.